Delicious high protein, low carb, fall-themed pancakes! Whisk all ingredients together very thoroughly and cook like pancakes on medium-low heat (no higher). 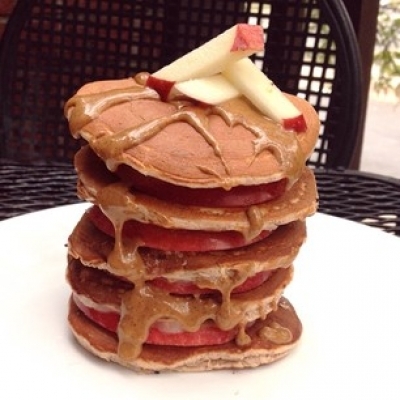 Layer with apple slices and top with almond butter!